Draft: 2013, Seattle Mariners, 10th rd. Emilio played in the World Baseball Classic for Puerto Rico in 2017…his father, Javier, was born in Puerto Rico…he had not yet made his major league debut and got to be teammates with Yadier Molina, Carlos Beltrán and many others he admired...The only out that he recorded in his major league debut was a robbed home run by former Mariners and current Rays teammate Guillermo Heredia, pulling back a drive by Andrelton Simmons…Heredia had been his roommate in Triple-A...When Rays general manager Erik Neander called to welcome him to the Rays, Emilio told him it was the "perfect" team to go to…he's always admired the Rays and the move brought him closer to family on the east coast…"It's kind of a dream come true"...He has a dog, a boxer/pit bull mix named Blaze...He and his wife, Jordyn, have a daughter, Paxtyn, born in June 2017. Made 55 apps over three stints with the Athletics, his first season in the organization… was on the active roster from Opening Day- May 1, May 18-Aug 25 and Aug 26 through the end of the season…returned for his third stint following an injury to Sean Manaea...Held right-handed hitters to a .196/.249/.380 (31-for-158) line, while lefties hit .296/.376/.654 (24-for-81) against him...Recorded 4 outs or more in 15 of his 55 apps… went at least 2 IP in 10 apps...Twenty-nine of his 55 hits allowed (52.7 pct.) 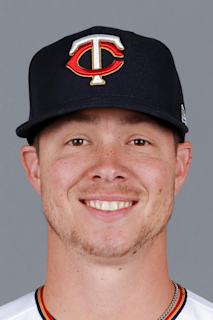 went for extra bases…yielded 13 HR, tied for 3rd among major league relievers...In his first 17 apps of his second stint, recorded a 0.81 ERA (22.1-IP, 2-ER) with 29 SO to lower his season ERA from 5.93 to 2.75…in his final 26 apps of the season, pitched to a 6.58 ERA (26-IP, 19-ER) to increase his ERA to 4.35...On April 20 vs. BOS, inherited the bases loaded and allowed a grand slam to Mitch Moreland on the first pitch of his outing...On Aug 19 at HOU, went a season-high 3 IP but yielded 3 HR, all solo shots...POSTSEASON: Was on the Athletics roster for the Wild Card Game against the Yankees but did not pitch...Acquired by the Rays in a three-team trade with the Rangers on Dec 21. Made his Major League debut with Seattle and was 2-3 with a 3.22 ERA in 34 relief appearances over four stints…struck out 56 batters in 50.1 innings (10.01 strikeouts per nine innings) and walked just eight (1.43 per nine innings) for a strikeout-to-walk ratio of 7.00…ranked fifth among American League relievers in walks per nine innings, sixth in strikeout-to-walk ratio and 10th in opponents on-base percentage (.246)…allowed a .212 opponents batting average, which included .189 (23-for-122) against right-handed hitters compared to .258 (16-for-62) against lefthanders…surrendered four of his seven home runs to lefties for a .532 slugging percentage (.279 against righties)…had a .136 opponents batting average with two outs, .149 with two strikes and .172 with runners in scoring position…opponents were 0-for-12 with RISP and two outs and 0-for-5 with the bases loaded…first batters faced were 8-for-34 (.235) with no walks and a home run (.324 slugging percentage)…allowed 4-of-16 (25.0%) inherited runners to score…compiled a 1.74 ERA and .153 opponents batting average in 13 day games compared to a 4.25 ERA and .250 opponents batting average in 21 games at night…had a 4.32 ERA in 15 outings on one day of rest or fewer, a 2.67 ERA in 19 appearances on two days rest or more…posted a 5.71 ERA in 16 games against AL West competition, 1.91 in 18 games against everyone else…logged a 1.35 ERA in three interleague appearances…tossed two or more innings in 12 of his 34 appearances…pitched for Puerto Rico in the 2017 World Baseball Classic and did not allow a run in two appearances (2.0 ip, 1 h, 1 bb). SEATTLE: Was selected from Triple-A Tacoma May 2 and made his Major League debut the next day against Los Angeles (AL)…relieved Hisashi Iwakuma with a runner on first and no outs in the sixth inning and the Mariners leading 4-2…allowed a Valbuena single, a Simmons sacrifice fly, a Revere single and a Pennington RBI single (0.1 ip, 3 h, 3 r, 3 er)…the three runs were a season-high (also Aug. 3 at Kansas City and Sept. 17 at Houston)…allowed two runs in his next appearance May 5 against Texas…struck out Gallo with two outs in the 11th inning for his first strikeout but allowed two runs in the 13th inning for the loss…had a 16.88 ERA in two games when he was optioned to Tacoma May 6…then logged a 2.45 ERA over his final 32 contests…was recalled for his second stint May 22 and tossed a season-high 4.0 scoreless innings of relief the next day in the Mariners 10-1 loss at Washington…went 0-for-2 with a strikeout in that game in his first at bats as a professional…was optioned back to Tacoma May 24…returned June 10 and faced Toronto the next day…matched his season high with 4.0 scoreless and hitless innings of relief and struck out a season-high five (1 bb) and was sent back to Tacoma June 12…recalled for his fourth stint July 7 and spent the remainder of the season with the Mariners, logging a 2.95 ERA over his final 30 games…did not allow a run in his first game back on July 16 at Chicago (AL), giving him a season-high 10.1-inning scoreless streak dating back to May 23…walked two batters in 2.1 innings that day, his only outing with more than one walk…earned his first ML win Aug. 9 at Oakland when he tossed 2.2 scoreless innings in the Mariners 6-3 win. TACOMA: Began the season at Tacoma and went 2-1 with five saves and a 2.56 ERA in 23 relief appearances with the Rainiers…did not allow a home run in 31.2 innings…struck out 36, an average of 10.23 per nine innings…allowed a .171 opponents batting average, including .157 (11-for70) against right-handed hitters compared to .195 (8-for-41) against left-handers…opponents hit .133 with runners in scoring position…yielded a .267 average to batters leading off an inning… allowed 2-of-12 (16.7%) inherited runners to score…converted all five of his save opportunities… posted a 0.53 ERA in 13 games at home, a 4.91 ERA in 10 contests on the road…issued a seasonhigh three walks April 18 at El Paso and had seven walks over his first five games and 9.0 innings through April 24…then walked just one batter over his final 22.2 innings…allowed a season-high three runs April 24 at Albuquerque…recorded his first save and struck out a season-high four batters April 29 against Sacramento…had a 3.27 ERA in six relief appearances when he was recalled by Seattle the first time May 2…returned May 6 and logged a 3.18 ERA in four games before returning to the Mariners May 22…pitched five times during his third stay from May 24 to June 9 (3.68 ERA)…did not allow a run over his final 11 games (13.2 ip) with Tacoma beginning June 3… tossed a season-high 2.2 scoreless innings June 5 against Reno…was on the temporary inactive list from June 13 to 16 for the birth of his child…returned to Seattle for good on July 7. April 21, 2019 Tampa Bay Rays recalled RHP Emilio Pagan from Durham Bulls. April 19, 2019 Tampa Bay Rays optioned RHP Emilio Pagan to Durham Bulls. April 16, 2019 Tampa Bay Rays recalled Emilio Pagan from Durham Bulls. March 26, 2019 Tampa Bay Rays optioned RHP Emilio Pagan to Durham Bulls. August 26, 2018 Oakland Athletics recalled RHP Emilio Pagan from Nashville Sounds. August 26, 2018 Oakland Athletics optioned RHP Emilio Pagan to Nashville Sounds. May 18, 2018 Oakland Athletics recalled Emilio Pagan from Nashville Sounds. May 2, 2018 Oakland Athletics optioned RHP Emilio Pagan to Nashville Sounds. July 7, 2017 Seattle Mariners recalled RHP Emilio Pagan from Tacoma Rainiers. June 17, 2017 Tacoma Rainiers activated RHP Emilio Pagan from the temporarily inactive list. June 13, 2017 Tacoma Rainiers placed RHP Emilio Pagan on the temporarily inactive list. June 12, 2017 Seattle Mariners optioned RHP Emilio Pagan to Tacoma Rainiers. June 10, 2017 Seattle Mariners recalled Emilio Pagan from Tacoma Rainiers. May 24, 2017 Seattle Mariners optioned RHP Emilio Pagan to Tacoma Rainiers. May 22, 2017 Seattle Mariners recalled Emilio Pagan from Tacoma Rainiers. May 6, 2017 Seattle Mariners optioned RHP Emilio Pagan to Tacoma Rainiers. May 2, 2017 Seattle Mariners selected the contract of Emilio Pagan from Tacoma Rainiers. March 24, 2017 RHP Emilio Pagan assigned to Seattle Mariners. July 26, 2016 Tacoma Rainiers activated RHP Emilio Pagan. July 25, 2016 RHP Emilio Pagan roster status changed by Tacoma Rainiers. June 17, 2016 RHP Emilio Pagan assigned to Tacoma Rainiers. April 4, 2016 RHP Emilio Pagan assigned to Jackson Generals from Bakersfield Blaze. April 4, 2016 RHP Emilio Pagan roster status changed by Jackson Generals. March 6, 2016 RHP Emilio Pagan assigned to Seattle Mariners. April 7, 2015 RHP Emilio Pagan assigned to Bakersfield Blaze from Clinton LumberKings. March 6, 2015 RHP Emilio Pagan assigned to Seattle Mariners. April 1, 2014 RHP Emilio Pagan assigned to Clinton LumberKings from Everett AquaSox. March 4, 2014 RHP Emilio Pagan assigned to Seattle Mariners. November 2, 2013 RHP Emilio Pagan assigned to Gigantes de Carolina. November 2, 2013 Gigantes de Carolina activated RHP Emilio Pagan. November 2, 2013 Gigantes de Carolina placed RHP Emilio Pagan on the reserve list. August 14, 2013 RHP Emilio Pagan assigned to Everett AquaSox from Pulaski Mariners. June 19, 2013 Emilio Pagan assigned to Pulaski Mariners. June 12, 2013 Seattle Mariners signed RHP Emilio Pagan.